In these few years if you have visited Paro Taktshang you must have noticed that there are plenty of horses waiting at the base like taxis at Lungtenzanpa, and as you hike up the hill you would see many more horses plying tourists up to the monastery. It must be a very recent development because I haven't seen horses during my four initial visits from 1997 to 2006. My late stepfather's sister is now one of the many horsewomen waiting at the base of Taktshang. I am so happy to see that she has finally made a easier choice in life, though climbing Taktshang more than once every days is by no means easy but comparing to what she has gone through Taktshang should be a cup of tea. She was a brave lady who refused to accept any stereotypical notions of the rural society she lived in. As a beautiful young widow she could have accepted another proposal and made her life easy and nobody would have bothered after a while but she made the harder choice. She had to bring up two daughters and care for her old mother inlaw, and therefore remained single throughout. I have heard of men travelling to Tibet in the dead of night, crossing mountains after mountains, through snow and sometimes blizzards, but my aunty was the only woman who did that all her life, and mostly all by herself because she didn't find likes of her in the company of men. She and her horses took that terrible journey thrice a year and then she carried her goods on her back and travelled the width of the country going from door to door and seeking shelter wherever the day ended. She has reached every Dzongkhag and she told me that she entered every Dzong to offer butter lamp and sell her posters (of Buddhist masters) and pocket knifes. Now it's been some years since the route to Tibet has become very dangerous for poster traders like my aunty after some people started using it for smuggling sandalwood. She now gave up on Tibet. She is in her late 50s and it's time she hung the saddles but because she still has to care for the old mother inlaw, and her two daughters still lean on her with their children she can't sell her horses as yet. So here she is at the base of Taktshang with her horses, still sweating and still panting yet happily doing her duty as daughter inlaw, as mother and as grandmother by being a horsewoman of Taktshang. Her name is Dawa Bidha. 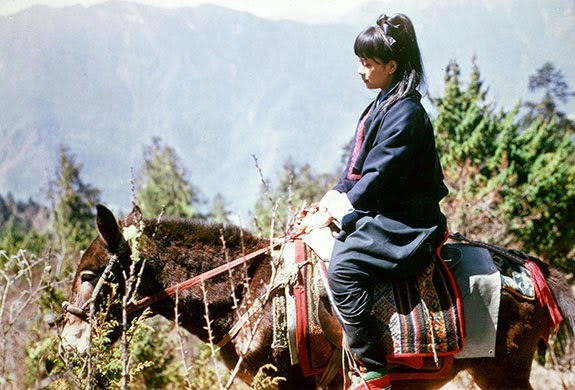 P:S: Though I will never ride a horse especially to Taktshang but for the longest time I romanticised the idea of riding on a horse to Taktshang after seeing a 1971 picture of Aung San Suu Kyi. It was said that Michael Aris proposed Aung on the same day after reaching Taktshang. What they have achieved in their lives after that will be remembered by history. 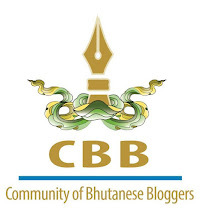 I personally am so grateful to late Aris for all the books he wrote on Bhutan. During my fifth visit to Taktshang in 2012, my wife, daughter and sister inlaw took what-I-call the "Aung San Suu Kyi Ride" to Taktshang. Somewhere in the middle one horse ran downhill carrying my wife and if it wasn't for my brother Samtay who caught the horse the memory would have been ugly. While it's nice to ride horses to Taktshang always know that it's risky.